Successful geoconservation increasingly depends on securing understanding and support from local communities and the decision makers within them. As most people do not understand geoscience, value geoheritage, or support geoconservation, it is extremely important that ways of raising awareness of geoheritage and building support for conservation are found. Connecting communities to their geoheritage is central to achieving this, and can be done in a variety of ways. Quarries and quarrying, including mines and mining, are perhaps the most effective means of engaging communities with their geoheritage as every quarry is ‘man-made’, and as such has a cultural connection with the community that worked it. 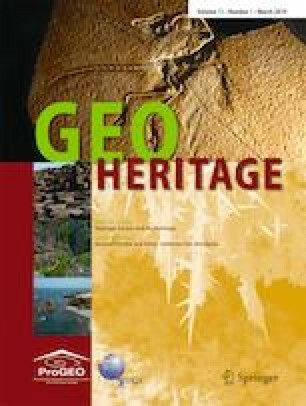 Using examples from England, different connections between communities, quarries and geoheritage are described, and ways of making these connections are explored. Innovative approaches to making these links, such as those that involve physical engagement and activities with the community, and which contribute to a wider social agenda, are highlighted. The concept of an Anthropocene epoch, emphasising the links between society and its visible impact on the natural environment, including the geological record, provides a new context within which to use quarries to link communities to their geoheritage. I thank Ewa Glowniak and the other organisers of the IX International ProGEO Symposium, Chęciny, Poland, 2018, for inspiring production of this paper, and I am grateful to the two anonymous reviewers for their constructive comments. Graham Worton kindly provided Figs. 7 and 8, whilst Dave Evans drafted Figs. 1 and 2.